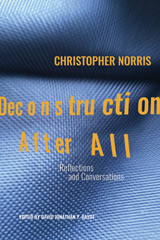 Christopher Norris is Distinguished Research Professor of Philosophy at Cardiff University, Wales and the author of many books about literary theory, philosophy of language, epistemology, and music, with a particular interest in deconstruction. His The Cardinal's Dog and Other Poems (2nd edn) is co-published by the De La Salle University Publishing House. David Jonathan Y. Bayot is Associate Professor of Literature at De La Salle University in Manila, Philippines. 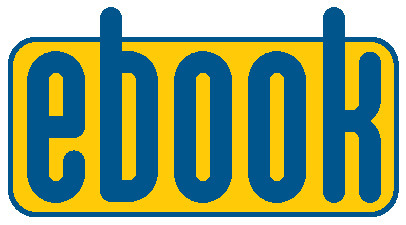 He is general editor of the Critics in Conversation series (DLSU Publishing), and also of the Critical Voices series published by Sussex Academic Press. This collection of interviews, reflections, and creative criticism presents Christopher Norris's vigorous polemics with Hayden White, Michel Foucault, Jean Baudrillard, Jean-François Lyotard, Thomas Kuhn, Emmanuel Levinas, Pierre Bourdieu, Richard Rorty, and Stanley Fish. Alongside Norris's uncompromising critiques there emerge passages of close and careful reading of Jacques Derrida's texts, as he cites and reiterates Derrida's philosophical contexts in the works of Immanuel Kant, Gaston Bachelard, and Georges Canguilhem, and in the current discursive fields of epistemology and philosophy of science. The book also offers a coda of essays on Frank Kermode, Terry Eagleton, and Terence Hawkes. This collection, prefaced with the author's own academic memoir, provides an accessible and provocative introduction to Norris's critical thought, and highlights the wide range of his interests and philosophical engagements. Norris is the most philosophically astute of all British literary theorists, and increasingly one of the most politically important, subjecting the jaded scepticisms of our time to a scintillating critique. David Jonathan Y. Bayot has put together several terrific interviews and less well-known works by Christopher Norris. It makes for a scintillating read, and offers an exhilarating ride across several decades and some of the most brilliant interventions – genuine occasions – in philosophical criticism. Norris has been a guide through deconstruction for an entire international generation of scholars; but he is also a leader, an independent thinker whose voice cuts across and through these pages with urgency, clarity, and utter commitment to serious thinking. Norris collects interviews he has conducted that were first published in various journals between 1988 and 2011. They are on deconstruction and art: conversation with Jacques Derrida; between deconstruction and postmodernism: points of intervention: interview with Tetsuji Yamamoto; truth, criticism, and the politics of theory: interview with Anthony Arnove; two cheers for cultural studies: a a philosopher’s view: interview with Paul Bowman; deconstruction, anti-realism, and philosophy of science: interview with Marianna Papastephanou; and Derrida and Indian thought: prospects for an East/West dialogue: conversation with Alison Scott-Baumann. He concludes with his personal reflections on Frank Kermode and Terry Eagleton.